G-CAS! Sew Excited! : An Outfit Post! Hey Peeps! I'm actually blogging about an outfit! 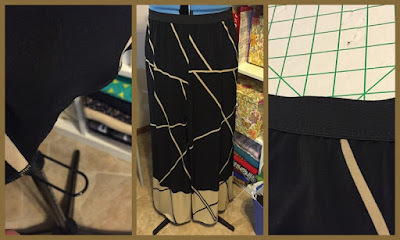 Since I have been active in this PeriCrafters Wardrobe Challenge I have actually been sewing and blogging! I started up blogging again after a few of you had questions and stuff. But since I have found Periscope I have been sharing on there. WELL, I just finished an outfit and I really love it so I'm blogging in depth about it. 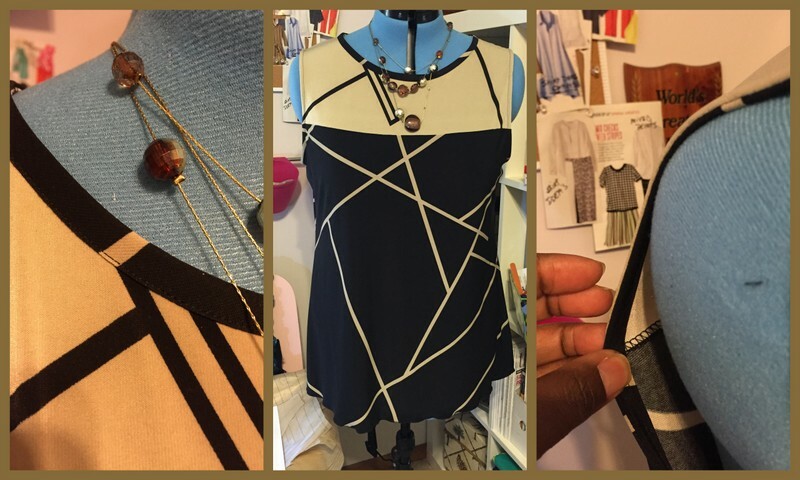 I decided to use simple patterns for each piece so the fabric could be the show piece. The shirt has a contrast piece at the top of the top (tee hee) front and back, both cut on the fold. So I utilized the boarder as the contrast fabric. Since I didn't have much fabric left I had to cut the back in two separate pieces and added seam allowance. This also allowed me to better fit my top in the back. The contrast pieces were cut on the fold per the pattern. I chose to bias bind the neck and armholes for style and stability. The pattern says fold down/stitch. This top needed more and I love the result. The Pants were a part of the PeriCrafters Wardrobe Challenge. 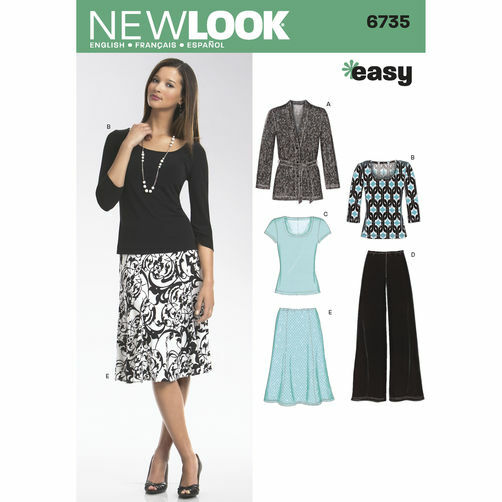 I thought that this fabric would work well on this Palazzo pant. I implemented an elastic waist treatment with the elastic on top as the waistband and laid the pants on the cross grain to allow the boarder to be on the bottom of the pants. 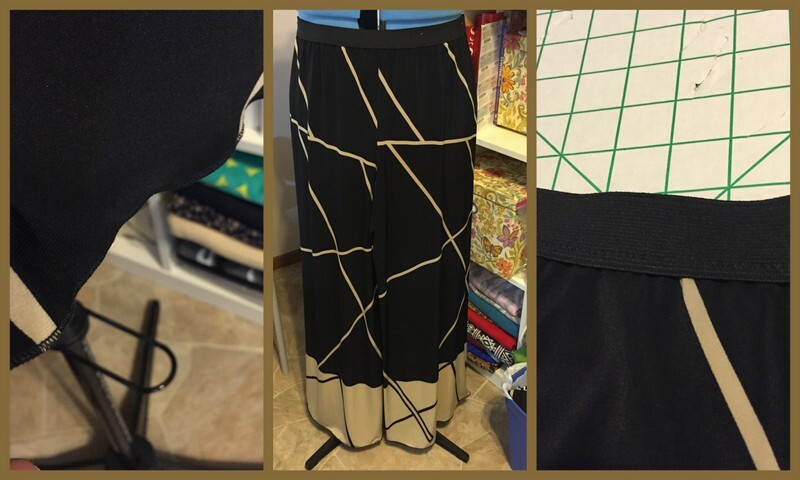 On both pants and top the hem treatments are rolled hems done on the serger. I'll be posting my McCall's knot dress soon and explaining the process! Stay tuned!! Very nice placement of the fabric...I love Fine Fabrics and each time I visit the Atlanta area I must go there. Thanks SD Cunni Designs! I want to go back just for that store! Wow! Fabric was errrrrwhere! LOL! !